India\'s most admired and respected present-day Davis Cupper Leander Paes feels that he is part of a group which is \'really the team of the future\'. India’s most admired and respected present-day Davis Cupper Leander Paes feels that he is part of a group which is ‘really the team of the future’. 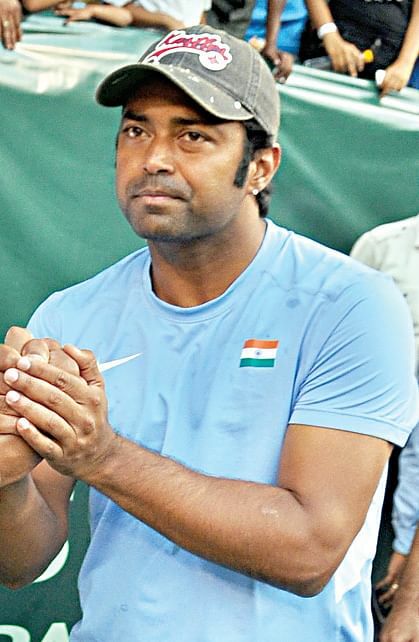 Leander, who was playing in his 50th Davis Cup tie, said he would not be there for too long and that the youngsters would have to claim the Davis Cup Trophy, saying there was not much difference between the present team and the 1993 team, which reached the semifinals. “Somdev, Yuki and Sanam are a team of the present and the future. It’s fantastic to be with this group. I think it was just a matter of unity that was there back in 1993 and the unity that is coming back now. That is one of the things that the leaders of this team really have to do. They have to bring the team together,” he said adding that the present team was like a rough diamond which needs polishing. Paes said India never had two guys in the top 50s or 100s to really boast of, but the team has always fought well. “I think this team has got it. At the end of day it is about unity; it is about playing the best team that can win. It is not about East, South, North and West, or for that matter my friend and dad, it is about the best Indian team possible. If I am not the best I need to sit out and this applies to all of us,” Paes said. “Unity in the Indian Davis Cup team is improving and camaraderie among players will be better when they will face tougher challengers in the 2014 Davis Cup campaign,” he said. “The atmosphere in the team is phenomenal. I still think the camaraderie will keep getting better as we get into tougher ties at the World Group playoffs, quarterfinals and semifinals. Don’t forget our dream is to win a Davis Cup. That is what we really started playing for,” Leander said. “Indian tennis has gone through a lot in the last year-and-a-half and it would probably take about another year before things could calm down. For anybody, at the end of the day, the game is bigger than all of us. At the end of the day, the country is more important than all of us. So it is our responsibility as much as we have the freedom of speech to do what we want. It is our responsibility to go and play for the country and play for each other,” he said.